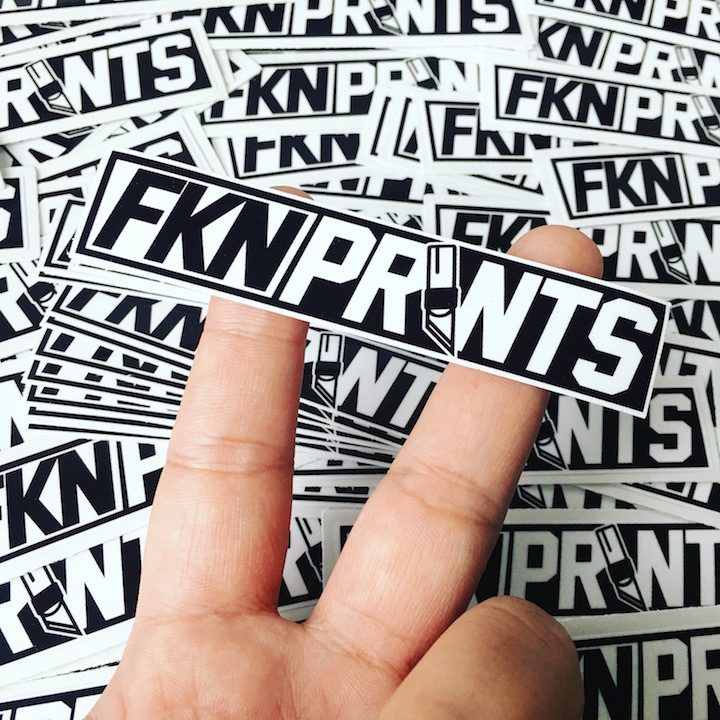 Founded in 2014, FKN Prints has been the premier source for unique one of a kind custom decals and stickers. Based out of California, we've worked with many clients big and small all over the world. Providing great helpful honest customer service, affordable pricing and fast turn around times. FKN Prints always insures that you get the best quality product every time. Is there a minimum upon ordering? - For vinyl decal orders, there is no minimum but the more the merrier. As for printed stickers, there is a minimum of 50pcs upon ordering. What files should artwork be in? - We accept files in .png, .pdf, .ai, .eps, .jpg. Please have artwork in 300dpi and in black in white. - For vinyl decals pricing varies upon size, quantity and color(s). As for printed stickers, pricing will always vary upon size, and quantity. - Typical turnaround times are can range anywhere between same day order to two days. (turnaround times reflect on vinyl/apparel being in-stock). Sometimes it can also range between a week to a week and a half, it just all depends on the order.